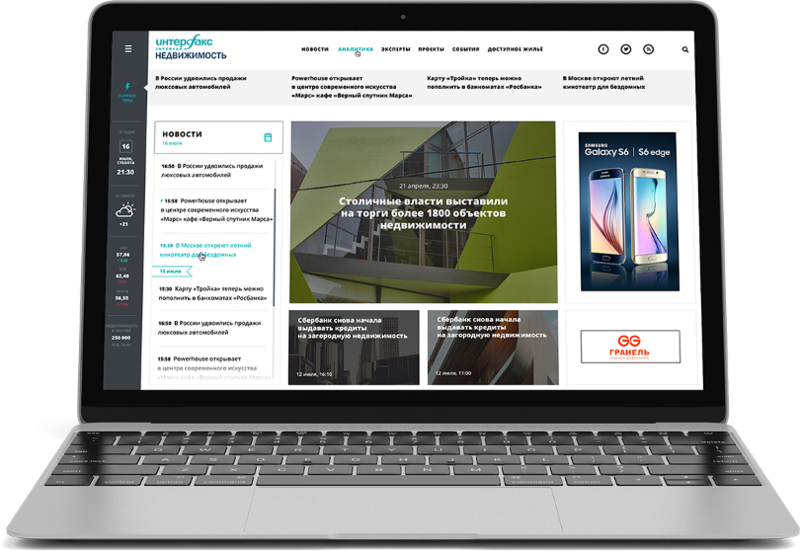 Our aim was to create a complete information portal that would replace a section about estate that had existed on the site of “Interfax”. Our client gave a precise description of the users of this project – that were professional actors of estate market and experts. This fact defined the logics of our further work. 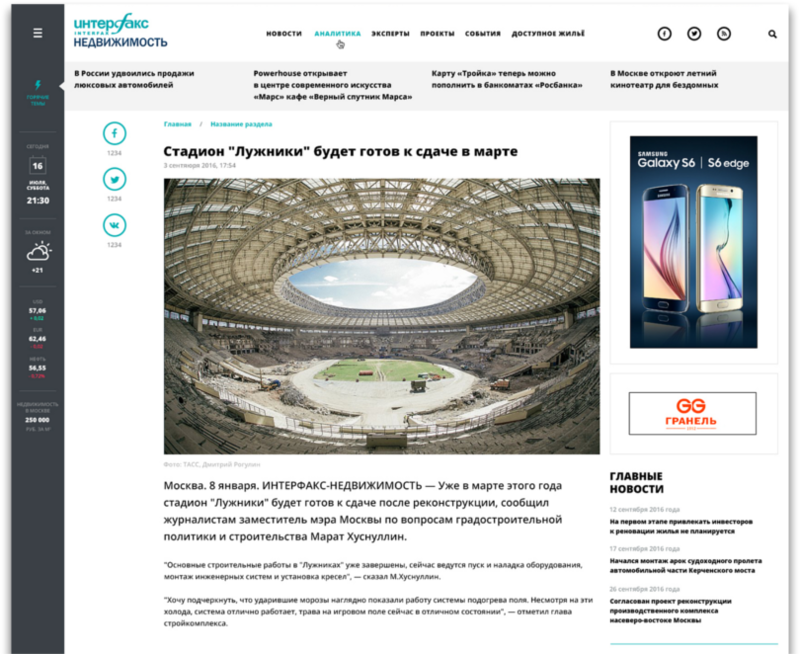 Firstly, our team together with the editorial board of “Interfax” designed a new informational architecture of the site based on intuitive interface. As the estate professionals need not only news and urgent events, but also analytics, we emphasized “Analytics” and “Experts” sections. Materials from these sections have got special cards on the main page of the site and different design of the reportage page. The whole design of the portal is held in modern minimalistic style and corresponds to the inner stylistic guidelines of “Interfax”. Secondly, we designed informer panel with the main characteristics of the estate market that are constant issue of interest for the auditory of the portal. The data for the informers is delivered by partners of the project and is updated automatically. The sign of lightning on the top of this informer panel leads to the hottest themes of the day; this feature increases number of views of the most important materials. Thirdly, we understood that the portal had to be available from any place and any device, so we developed an adaptive site that looks perfect on any gadget. Additionally, the technical characteristics of the site provide work stability while critical loads. We aimed to facilitate journalists’ work and to make it more enjoyable. As a result the editorial team got an easy and convenient administrative interface that allows to publish any media-content with ease. Now they can edit materials both from inside the system and directly on the site.